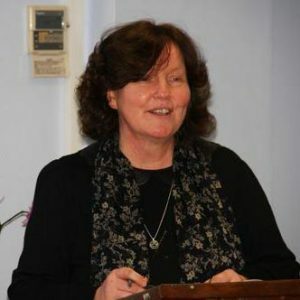 Dr. Ethna Regan, Head of School of Theology, is an ethicist and theologian working in the areas of human rights, and liberation and political theologies, among other areas of expertise. She holds a Ph.D. from Cambridge University and a M.A. from Fordham University and has wide international experience in the areas of human rights, conflict, poverty and social inequality. Dr Regan lectured for over a decade at the University of the West Indies, Trinidad. As chairperson of Credo Foundation for Justice, a non-governmental organization based in Port of Spain under the auspices of the Holy Faith Sisters, she worked with socially displaced children, was involved in social justice advocacy and education, and was active in the campaign for the abolition of the death penalty in the Caribbean. She also worked for five years in Samoa in the Pacific Islands where she established the first chapter of Amnesty International in the region and was involved with justice groups in Oceania. Her Theology and the Boundary Discourse of Human Rights (Georgetown University Press) was awarded one of the prestigious 2011 Book Awards of the Catholic Press Association of the United States and Canada.